Welcome to Admark, the home of Content-Driven Digital Marketing. Here is a quick overview of our approach and why you need it to succeed online. SMM – The most effective way to create a Buzz about a Brand. It combines both; Digital Marketing goals and Social Media Buzzword. Many people hear the terms Social Media Marketing and SMO thrown around without understanding what they really mean or how they can work to improve their web presence. From Facebook to twitter, blogs to videos, social media is a fantastic way to generate web traffic and exposure if handled correctly, as it is self-perpetuating and grows exponentially. In essence, once the ball is set in motion your audiences do a great deal of the work on your behalf, distributing your information to their friends and contacts for you. Why Do I Need Professional Social Marketing Optimization? While SMM is a fantastic tool it has to be handled with care, which is where our expertise in SMO plays a crucial role. Creating social bookmarks is the equivalent of lighting a fuse and once lit it can’t be extinguished. You have to get it right first time to make a great impression, so, in order to get the exposure you want you need to have the right social media optimization in place. Businesses’ social media image impacts their entire web reputation, so it is necessary to ensure that any Off Page SMO reflects the image businesses strive to achieve. As experts in the field of social media marketing we know what works and what doesn’t, so we provide our clients with optimal social media solutions to meet their needs. 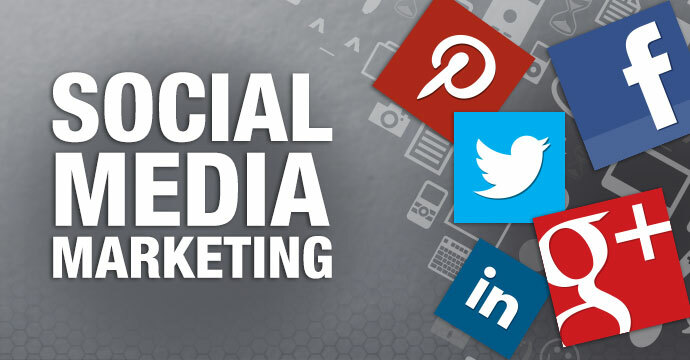 Social media marketing has become an important element in developing an effective search engine optimization strategy and as an expert in this field we offer a comprehensive package that integrates SMM and SEO. Through implementing social media optimization via social bookmarks, at Admark, we create tools and links that generate quality results in the present and into the future. From blogs, videos and widgets to press releases and articles, we provide high quality social media optimization solutions that attract the right audience and create the intended buzz around the client’s brand. Gaining effective results from social media sites means standing out from the crowd, this is why we develop solutions to meet all our clients’ individual needs. With a dedicated account manager and a team of experienced SMO professionals, we develop SMM strategies tailored to clients' requirements keeping in mind their target audience. With Admark, social media marketing opportunities for our clients’ brands are limitless. Contact us to get to know the latest in SMM.